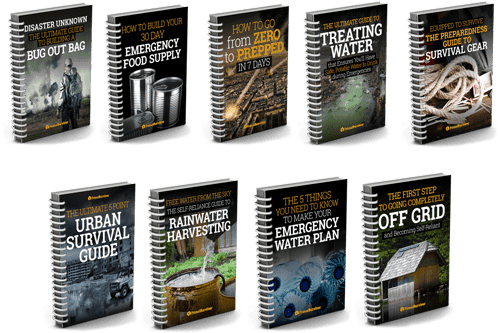 When I talk about preventing food from spoiling without electricity, I’m not talking about an hour or two long power outage (though some of these methods will work for those situations too). I’m talking about how you will keep your food from spoiling when the grid fails and the world goes to darkness. 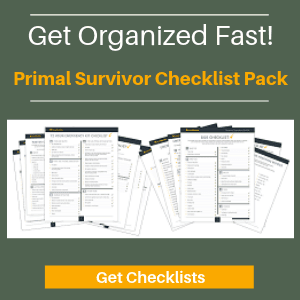 Hopefully you won’t ever need to put this knowledge to use, but you’ll be really glad that you know this if SHTF! Plus, a lot of these methods can be used when you buy fresh produce in bulk in season to save money. This is the most high-tech option for keeping your food fresh when the grid goes down. You can buy a readymade solar refrigerator or you can get crafty and make your own. If you find yourself with the grid down and need a quick solution, you might even try this DIY cheap solar fridge which is made from clay pots, sand and water. Keep bugs away! 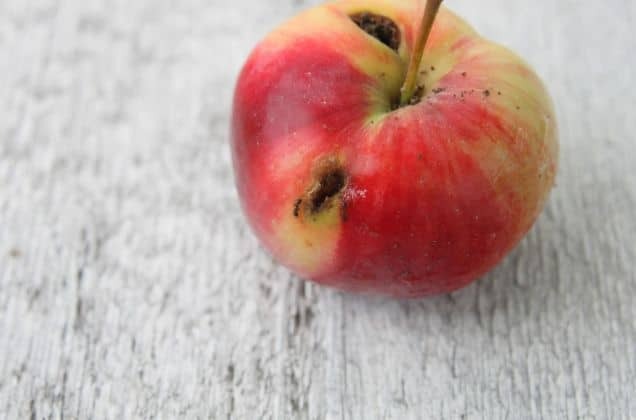 Once it is dry, bugs won’t eat the food – but you should cover it with some cheesecloth until then. Keep humidity low: To safely dry food, you’ve got to have heat and dry conditions. If it is too humid, make sure you hang the food in a place where a breeze can come through so humidity will be lowered. There are a few ways that you can dry food. For fruits (which have a very high water content and take a long time to dry when they are whole), it is usually best to make fruit leather out of them. 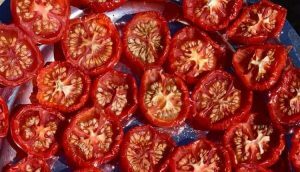 Just mash them into a pulp and spread them over a flat surface (like a window screen) and put them out to sun dry. 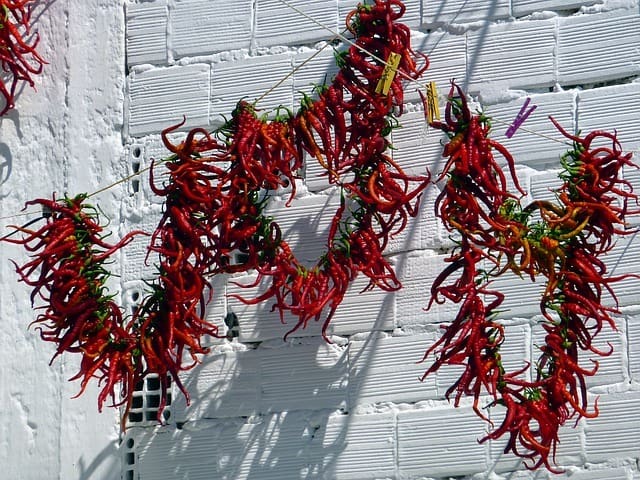 Veggies like peppers can be put on a string and hung by a window to dry. 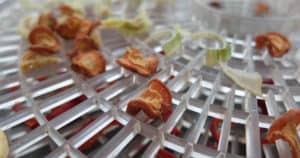 Other veggies can be chopped into pieces and put on trays with slots in them (or window screens) to dry. Make sure the trays are propped up so there is air flow going through. Meat and fish can be preserved with sun drying too, but you’ve got to be careful to make sure that it isn’t contaminated along the way. 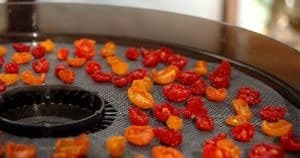 Smoke is often used during the drying process to keep bugs away and add flavor. Bear in mind that some meats are not suitable for drying, such as pork which has a lot of fat and will quickly go rancid. This article has good instructions on how to cure meat in the sun. In 1809, Nicolar Appert won an award from the French government for discovering a method of canning foods to preserve them. There are many variations of canning, but they all work under the same principles discovered by Appert. 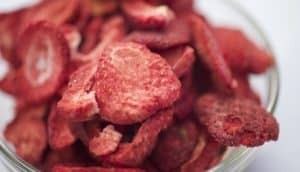 In a nutshell, canning works because it uses heat to kill any microorganisms on food which could cause them to spoil, and then immediately transferring them to a sterile container which is sealed. The great thing about canning foods, aside from the fact that you can store them for years without electricity, is that it keeps their nutritional value intact. While everyone else is starving after the grid failure, you and your family will be healthy and fed. If you are new to canning, here is a video to get you started. No, pickling isn’t just for pickles! You can pickle just about any fruit or vegetable. One of the great things about pickling is that pickled foods are a great source of healthy bacteria and vitamin K2. A lot of people are scared of pickling because it involves bacteria. They are really worried that something will go wrong and they will end up sick and wasted. 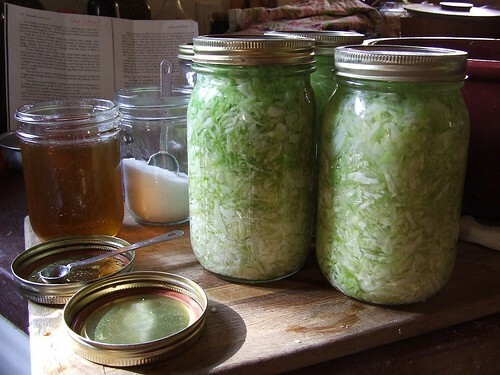 If you have bacteria fears, I encourage you to just go ahead and try DIY pickling. When you realize how easy it is (and how awesome pickled foods taste), you will quickly get over your fears. 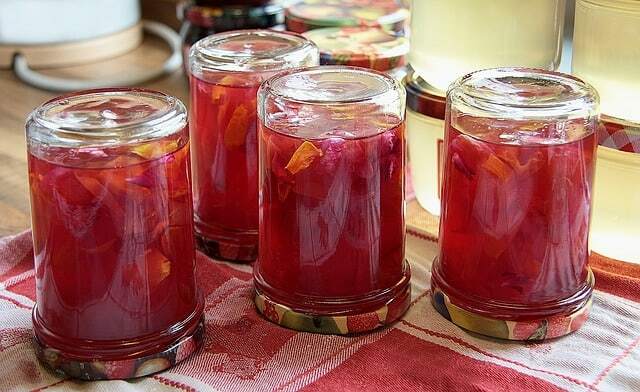 Here is a great article with simple instructions on how to pickle food. You don’t even need to buy any special equipment. You just need some jars (like from those storebought pickles), salt, and a way to weigh down the food. Especially in America, people have gotten into the habit of putting everything in the refrigerator. But a lot of foods don’t really even need to be refrigerated. If you go to Europe, for example, you’ll notice that they keep things like butter and eggs out of the fridge, and that they will last for 1-2 weeks like this. The storage place must be cool and dry. A root cellar is ideal for this. You can even dig a hole in the basement to use as a root cellar. There is a reason it is called a “root” cellar. Root vegetables like potatoes, yams, beets, horseradish, carrots, onions, leeks, and turnips store best. Other produce can also be kept in a root cellar. However, care should be taken that they don’t get bruised before storage or they will start rotting quickly. The produce also must be stored in a way so they are spread apart and not stacked on each other. Some options are Brussels sprouts, squash, broccoli, apples, and melons. Use storage bins with slots so air can circulate around the produce. You can also use wire baskets for firm produce. This is a more modern method of storing food without a refrigerator, and it is pretty cool. It works because it limits the amount of oxygen which gets to the food, thus slowing down the food deterioration process. When the food is vacuum packed, it also removes a lot of the bacteria, fungi, and other substances which would deteriorate the food. It will help food last about 3 to 5 times longer than its normal life. There are a few ways to vacuum pack food at home, like the Pump N Seal product. I’ve never used it myself, so let me know if you have or recommend any other method of vacuum packing food for storage. How are you planning to keep food fresh when the grid goes down? Let us know!